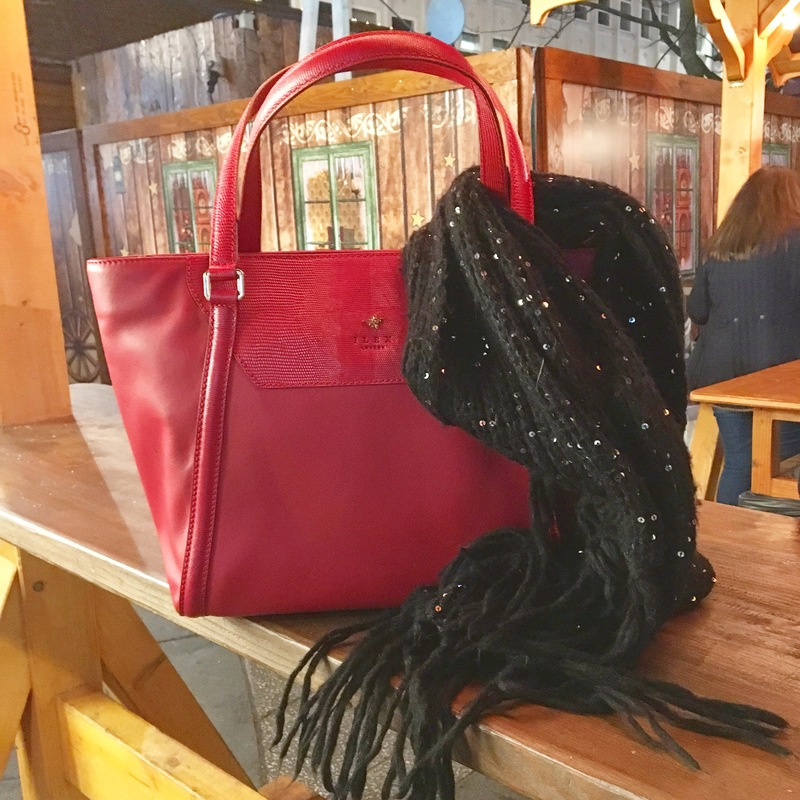 If you’re still on the lookout for the perfect Christmas bag, can I please introduce you to this beauty, c/o Ilex London? I love red accessories at the best of times, but there’s no denying that red is the unofficial colour of Christmas. It goes so well with metallics, especially gold, and it pairs beautifully with navy and white – just ask Father Christmas! Now, while a smart little clutch might seem like the ultimate Christmas bag for parties and cocktail dos, I’m here for your wake-up call. 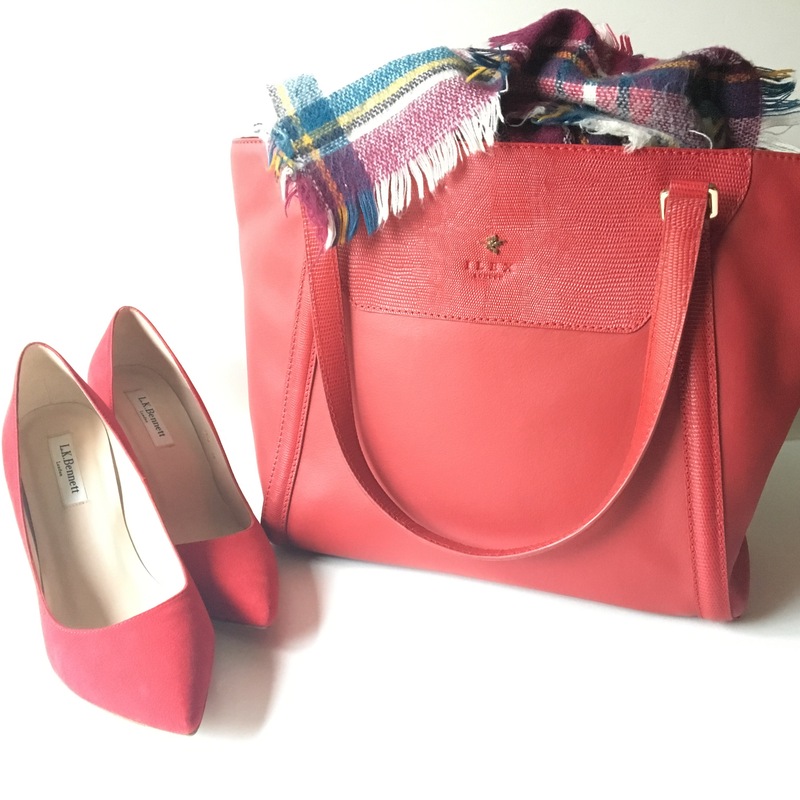 You don’t need a red clutch, you need a red tote! Stuff it full of Christmas cards, hide your partner’s pressie inside when you’re shopping, cram your scarf in there for good measure. Take it to the works party and line it with tupperware to nick sausage rolls and quiche to eat later. Take it to a carol service and throw the order of service in afterwards. Buy a pack of mince pies and mulled wine and retrieve them on a visit to a friend, and look like the most casually perfect and festive guest in history. Pair it with sequins and tartan and red suede high heels or black novelty slipper shoes. Have I convinced you yet? Nab your Harriet here for £205 (but if you sign up to the newsletter, you’ll get 10% off!) Also, check out the Ilex sale here, where there are a few bags in the same lovely colour red available!